A new documentary telling the stories of West Coast residents who could be impacted by the proposed Kinder Morgan pipeline expansion will be screened Thursday night in Surrey. While consultation has been extensive for the Trans Mountain project, the filmmakers with Directly Affected decided to turn their cameras on the people along the route who might otherwise have been silenced by the restrictive hearing process. Director Zack Embree is a Vancouver-based photographer, videographer, and digital storyteller, teamed up with co-producer Devyn Brugge and the Raincoast Conservation Foundation to make Directly Affected. They travelled the route of the pipeline from Alberta to Vancouver to record different perspectives, and received a type of crowdfunding from Telus to make the documentary with Storyhive. So is the film art or political propaganda? "I certainly have my perspective," Embree replied. "But the way we are seeing this play out has left the sides dangerously polarized." Embree calls himself a "chronicler of conscience" and he explains the film was made with people in the Fraser Valley in mind and other B.C. regions, to give them a platform to talk about how it might affected their transected properties to have 890,000 barrels of unrefined bitumen go from Alberta to the Lower Mainland for export. It's those human stories, voices from local farmers or fishermen for example that were not being heard, that the filmmakers want to document and capture. "As an artist, I link my practice with current events," he said. "It's important to underline that this is a creative pursuit, and a documentary. The questions being asked in this film are much larger than just one perspective, and they point to some of the larger questions we should all be asking." Directly Affected tells the story of the people and places directly affected by the Kinder Morgan Trans Mountain proposal. The Abbotsford event will include an expert panel including Chief Dalton Silver of the Sumas First Nation, film director Zack Embree, UFV agriculture expert Lisa Powell, Lynn Perrin of PIPE-UP and Raincoast biologist Misty MacDuffee. Zack Embree, Director of Directly Affected. Ben West of Tanker Free B.C. attends a Kinder Morgan protest on Burnaby Mountain in November 2014. A protest against Kinder Morgan’s pipeline project will be held Thursday. 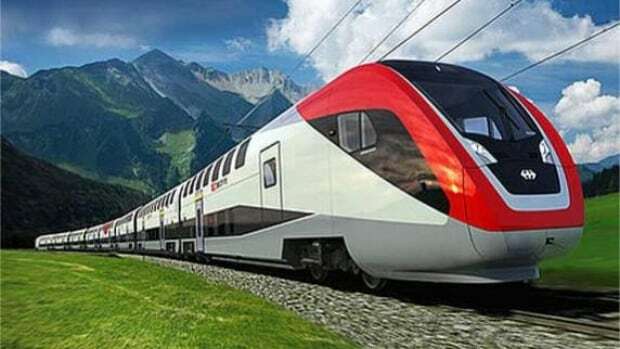 A group based in Portland is lobbying local governments for a high speed train that would connect the Cascadia region, from Vancouver to Portland. The proposed train would take passengers from Greater Vancouver to Seattle in less than an hour, and to Portland in less than two. "It would be over 180 miles [290 kilometres] per hour and it would be on … it it's own corridor separate from freight rail," Brad Perkins — the co-founder and CEO of Cascadia High Speed Rail told The Early Edition'sRick Cluff. Perkins said it would take a public-private partnership to fund the train, and the first phase of construction would only run between Seattle and Portland, which would cost from $18 billion to $22 billion, according to Perkins. The second phase would continue the line into B.C. With over 1 million people travelling from Seattle to Portland on the Amtrak train each year, he believes the interest from passengers is there. The next step is getting politicians on board. While Perkins has spoken to local politicians in the United States, he hasn't yet approached Vancouver Mayor Gregor Robertson with his proposal. To hear the full interview with Brad Perkins, click the audio labelled: Brad Perkins proposes high speed rail through Cascadia.